I would like to start by Thanking you Radd Titan for the interview and for following my work, it is an honor. I started with art many years ago drawing, sketching and trying to learn as many techniques as I could, then I just stopped and decided to start studying law here in Chile. After a long time I stepped into Sculpting as a way to express what I loved and I had the opportunity to send some of my work to Epic Games. Doing this plus the support from my girlfriend -who paints my work – I decided to start with art again, this time as a Full time thing; since then I’ve been sculpting for approximately 3 years and everything has been like a roller coaster. I’ve learnt, and continue learning everyday, how to sculpt by watching tons of video tutorials from YouTube and by also following the amazing work from really talented artists like Martin Canale, Steve Wang, Jordu Schell and others; This has been of great help because here in Chile there aren’t really any kind of sculpting classes; Actually, living as an artist here is pretty much almost impossible. People can follow my work on Facebook or Instagram. 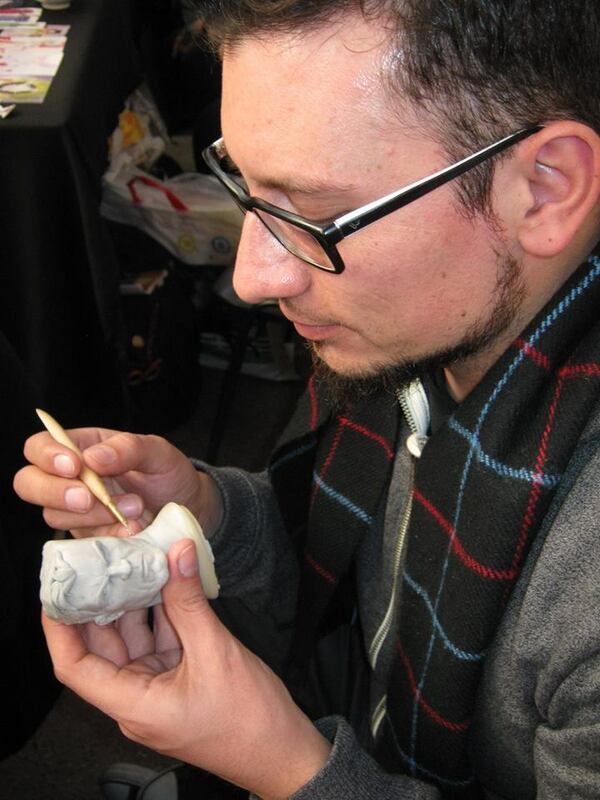 It includes mainly Custom Heads for statues in ¼ scale and also some training works to keep learning. I really liked the recent work that I made for the magneto by XM studios, was an unmasked head that really made me happy, and also a wolverine rough sketch that I’m making between projects, using as reference the awesome work by the great Leinil Francis Yu. I think The Batman Premium Format by sideshow, I love that statue and it is kind of my favorite, such a perfect job. Lion-o would win because I love Thundercats and I grew up watching that series.